Target is having SUCH great deals this week that I decided to post about it instead of HF4F. You gotta know it's good if I skip that! It's no secret that I love Target. Of course I WANT to spend all my life savings there, however I know better. What makes Target even more amazing are their already low prices, weekly deals, coupons, and complete patience with people using those coupons. This is no small task. There are plenty of stores that make couponers feel like the scarlet letter. Every associate I've encountered has been more than helpful and totally calm when I hand over a pile of 20 coupons. I've been a Target believer since Luke was in diapers. I figured out that ounce for ounce their formula beat out all the competitors prices. Then their diapers came in super close to Walmart's CPD (cost per diaper). But I don't like Walmart's crunchy diapers, and no amount of money would make me convert. So even when we lived 45 minutes away I would make the trek to Target- my monthly pilgrimage. I ended up opening a REDcard to save even more, and the rest as they say is history. Now that we live 5 minutes from a SUPER Target (are you jelly?) I can really coupon. I relied only on sales at the beginning of the month since I only used to go once per month. But now I can go whenever, with any weekly sales. I rely the heaviest on Southern Savers to pass on the super great deals. I also scan the ad (and Southern Saver's run down of the weekly ads). I will also peruse the clearance sections (they're different in every store) for items that I may have a coupon for. Clearance plus coupon=super savings! How does it all work? Easy. 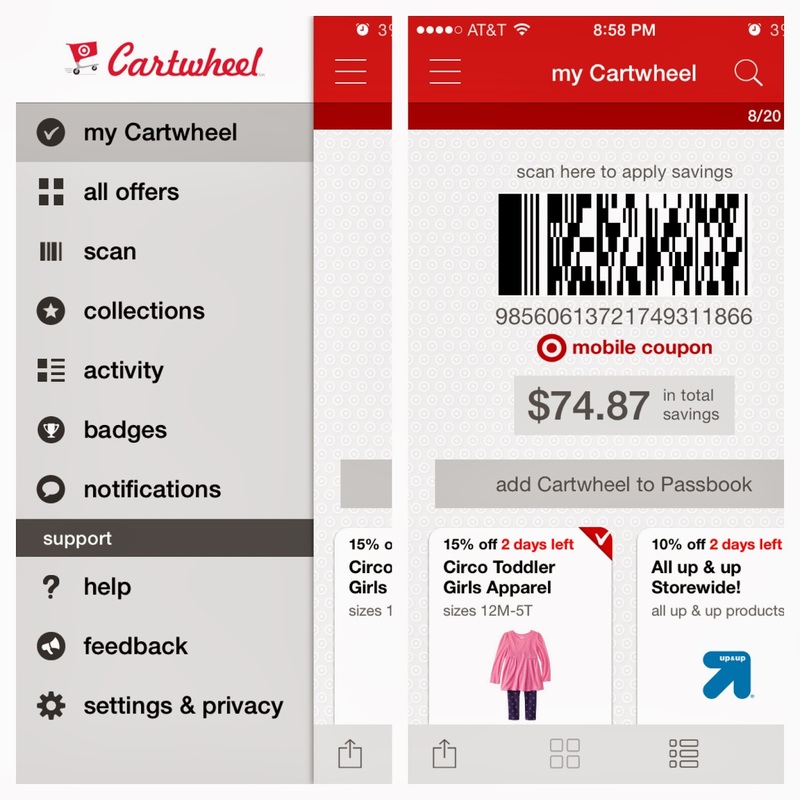 Target will allow you 1 manufacturer coupon, 1 Target coupon (mobile or paper), and 1 cartwheel entry PER ITEM. On Target brand items you will only find Target coupons and/or Cartwheel (since they are the manufacturer). Manufacturer coupons are found in the Sunday paper, weekly circulars we get in the mail, and on the manufacturer websites/facebook/emails. I have just started using their mobile coupons and I'm semi-impressed. I like how easy they are (no printing), BUT you can only use 1 coupon once. Online through their website you can print the coupons twice per computer. I have never had an issue with them not accepting multiple like coupons. See the pencils I bought above? The pencils and hi-lighters were both school supplies. I had 1 mobile coupon for $1 off Up&Up school supplies. I thought it would take it off BOTH items, but it didn't. It only took it off the highest priced item (which was the hi-lighters). Had I printed these I could have applied a $1 off coupon to the pencils and $1 off coupon to the hi-lighters. Live and learn. It really isn't a biggie. 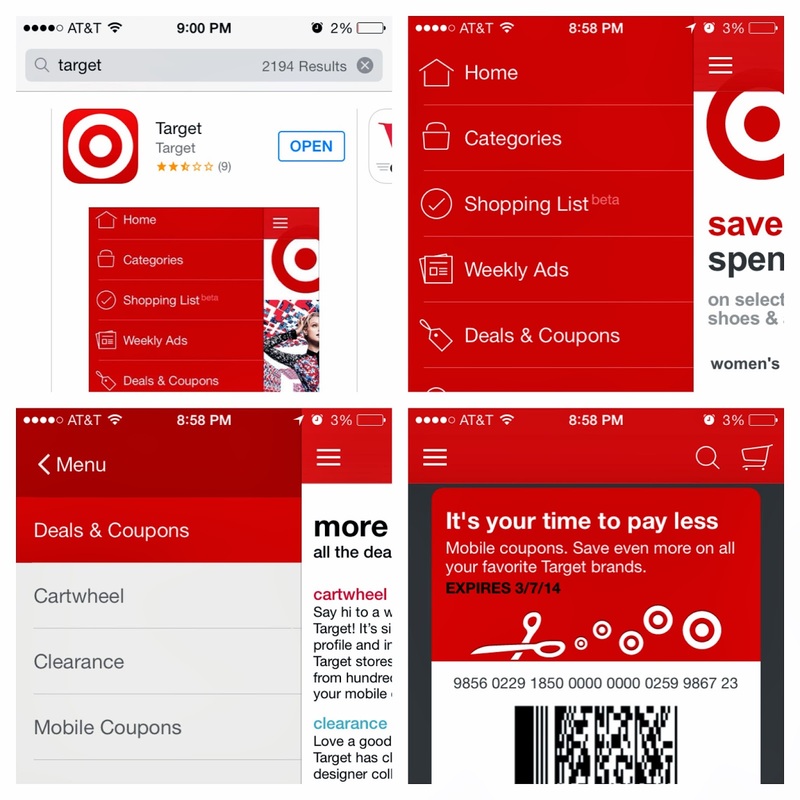 You can find Target coupons either through their website (where you print them out) and on their app. There are WAY more on their website, FYI. Next use Cartwheel! This is a separate app that allows you to scan the items and see if there's additional savings. Savings on Cartwheel are usually in the form of percent off as opposed to say $2 off (not always, but usually). Most times I'll wait until just before checkout and scan all the items in my cart. You can only add a certain number of items (the newer you are the fewer slots you have) but as you spend (and save) you'll unlock new slots. I have never run out of slots even when I first started using the app. All the items you scan (assuming there's a coupon available) will create a unique barcode that the cashier will scan. Watch the cents DROP OFF. I've saved as much as $10 on on Cartwheel scan. On small trips I usually save $2-$3. Did you know Target PAYS YOU to use reusable bags? For every bag you bring and they use they will credit you 5 cents. Doesn't sound like alot, but it adds up! Finally, if you go in there enough, get a REDcard. If you don't like the credit card thing, get it as a debit card. It's an easy way to save 5% on every purchase. During my last trip the lady in front of me at the register spent $200 and didn't have a REDcard... she would have saved $10 instantly! If she spends $200 there every month she could save $120 a year! Also you get effortless returns WITHOUT your receipt by using your REDcard. Don't know about you but it's really hard for me to keep up with receipts! Do I ever feel frazzled at checkout? YES. Between paper coupons, mobile coupons, cartwheel, making sure I have my reusable bags, and paying with my REDcard there are times I feel totally scatterbrained and many times I have to go minus the kids. But watching the money drop off is an amazing feeling. And from my experience Target really does have the lowest (or perfectly comparable) prices (regardless of what the big blue competitor slogan says)! The feeling to walk away with free stuff? Priceless! 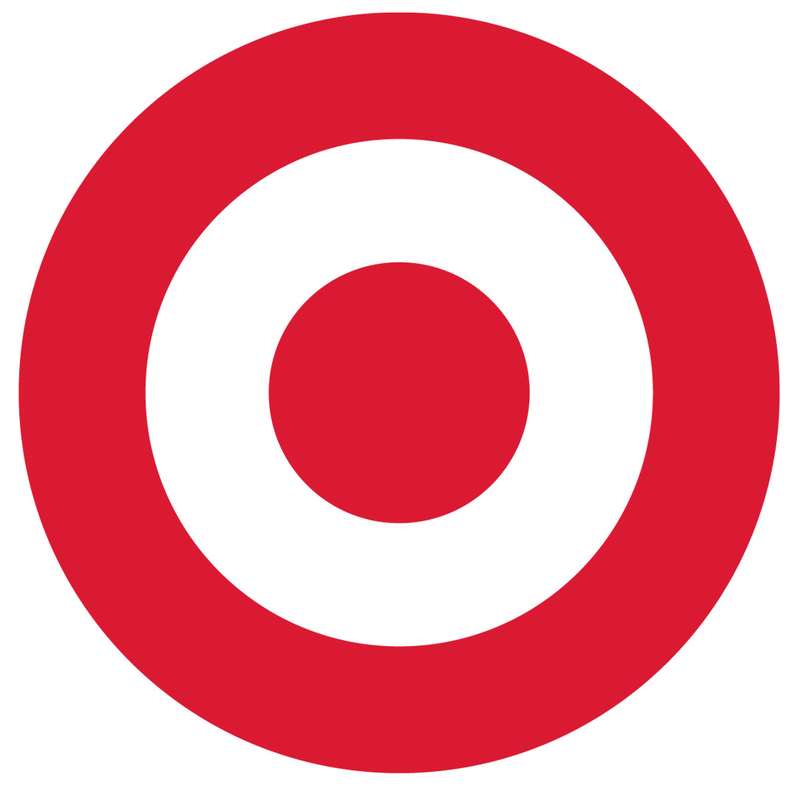 **I am not paid or perked in ANY way to share Target's love. I just enjoy passing on a great deal and helpful hints when I have them. Super Targets are AMAZING!! Thanks for stopping by!